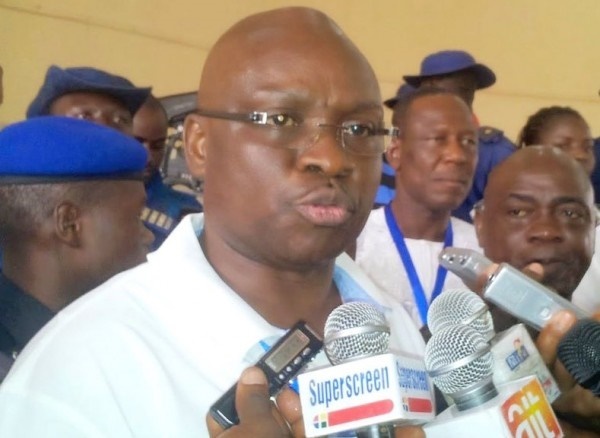 Some leaders of the Peoples Democratic Party in Ekiti State are on a warpath with the state governor, Ayo Fayose, over allegations of imposition of delegates at the ward congress conducted on Saturday. Some leaders of the Peoples Democratic Party (PDP) in Ekiti State have alleged that no ward congress known to law was held in the 177 wards last Saturday. Those that emerged according to them were handpicked by Governor Ayodele Fayose. In a petition to the PDP Ward Appeal Panel, they claimed that the action of the governor was already creating tension among party members who had expected equity in the process of electing delegates to the December 9 national convention of the party. The petition urged the panel to disregard the list of national delegates that would emerge from Tuesday’s Local Government Congresses. The petition was signed by a Board of Trustees member, Clement Awoyelu; the senator representing Ekiti Central, Fatimat Raji-Rasaki, and House of Representatives member for Ekiti Central Federal Constituency 2, Olamide Oni. The petition was also signed by former House of Representatives members, Titilayo Akindahunsi and Olufemi Adeyemi. Other signatories were Titilayo Oluwatuyi, Kunle Folayan, Williams Ajayi and Fatai Ibraheem.